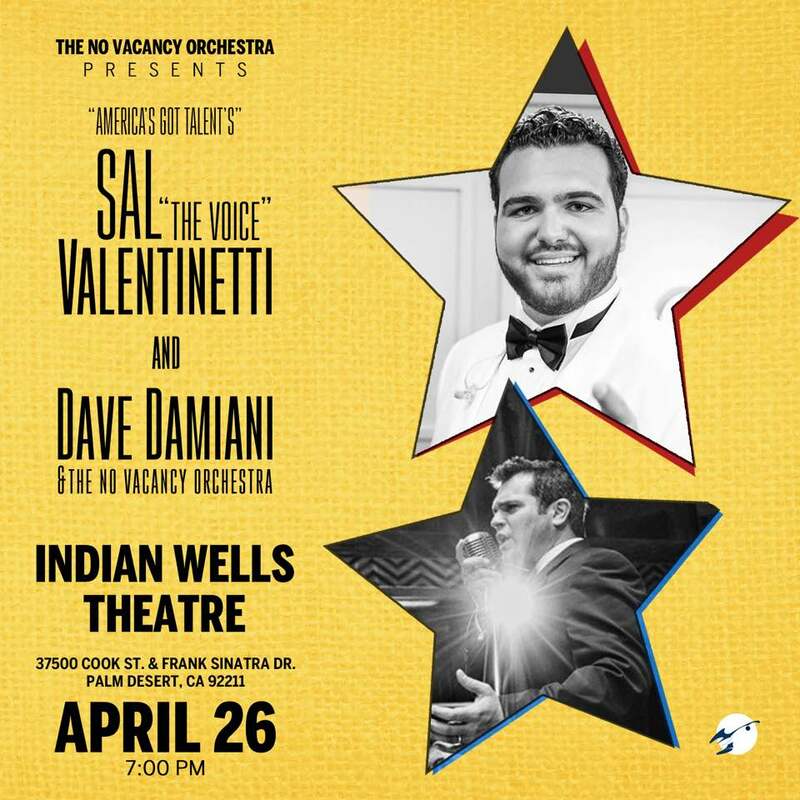 The No Vacancy Orchestra debuts its amazing sound at the INDIAN WELLS THEATER in Palm Springs, CA on Friday April 26th, 2019. Sal "The Voice" Valentinetti took the nation by storm when Heidi Klum gave him the "golden buzzer!" HOW U DOIN?!?!? COME AND SEE SAL AND DAVE and their magical chemistry. The No Vacancy Orchestra has recorded with Bobby Rydell, Renee Olstead, Maiya Sykes, Landau Murphy Jr, Spencer Day and Dave Damiani can be heard on XM 71 Siriusly Sinatra! Don't miss this band and why people are calling Dave "The future of the Great American Songbook.."